Did you know that evaporative cooling systems can help you ensure that the air your staff breathe inside your buildings is actually cleaner than the air outside of it? If you didn’t, keep reading to find out how evaporative cooling units could help you create a healthier, more productive workplace year-round. 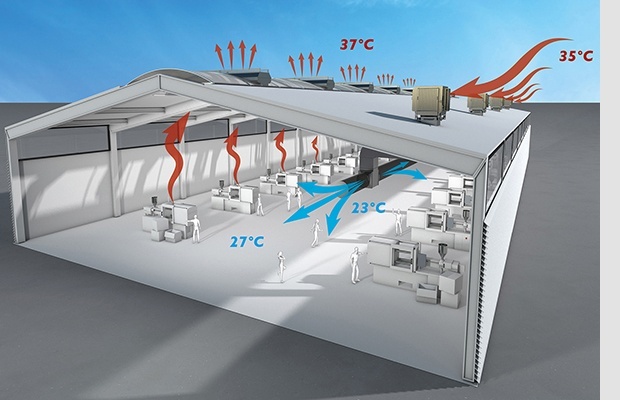 What are the health benefits that evaporative cooling offers your staff? Evaporative cooling or traditional air con? Which is best for your business in 2019? 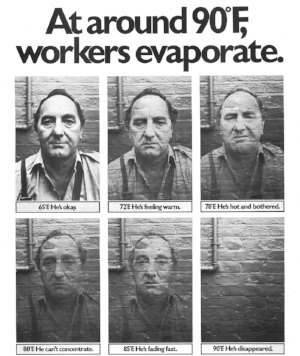 Evaporative cooling or ‘adiabatic cooling’ is a mouthful, we know. That’s why a lot of building owners and operators still don’t know about the effectiveness of these systems and the cost and environmental benefits they can deliver. Many people don’t realise that if you manage a large industrial or semi-industrial facility where pinpoint control of temperature isn’t crucial, evaporative cooling can actually be a more effective choice than traditional air conditioning. Plus, have a look at the pros and cons associated with the different system types below – not only is evaporative cooling cheaper and more efficient, it introduces fresh air from outside avoiding poor health issues often associated with traditional systems. 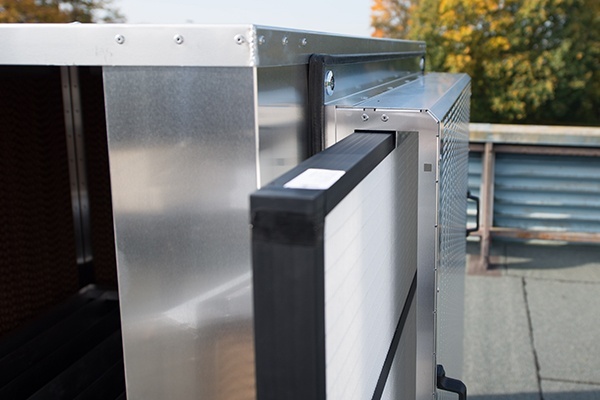 Read on to find out what evaporative cooling is and why it could be better for your business than a traditional air conditioning system. The first question that comes up when discussing a water based cooling system, such as evaporative cooling, is always about its safety and in particular about the control of legionella bacteria. 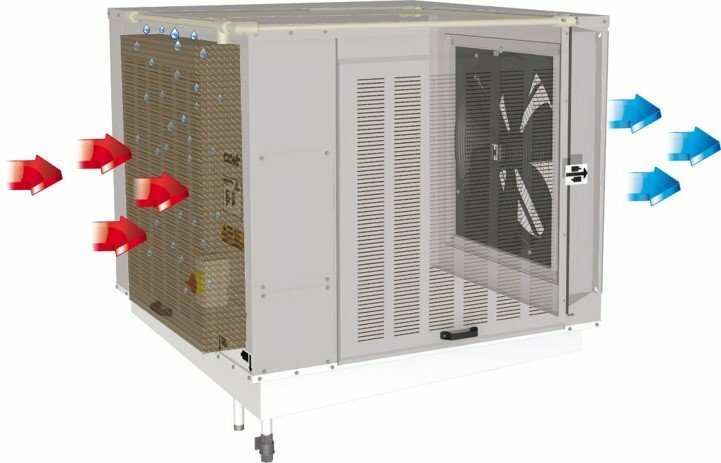 In this article we will explain what you should be looking at if you are considering such a system, illustrating with examples of our approach to ensuring that our evaporative cooling systems are safe. 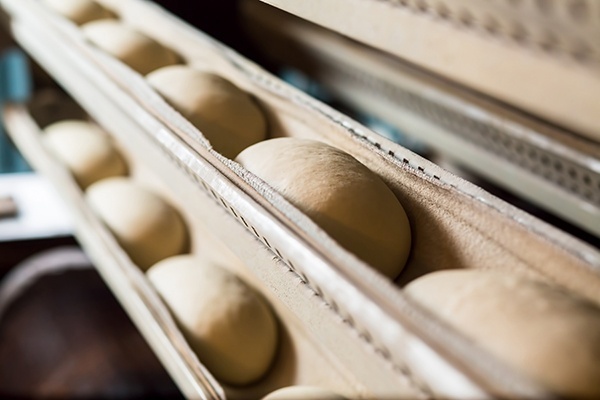 Various food and beverage sectors have different climate control requirements, depending on the processes being carried out. However, they all share an overriding concern for overheating and hygiene in order to protect their goods and ensure quality. almost 40 years ago, and still rings true today! As the temperature rises during the summer months, it is important to asses your productivity levels. If your factory is too hot, then you will almost certainly suffer losses in production, as well as a whole host of other issues. Air filters are used in heating, ventilating and air conditioning (HVAC) systems to improve air quality in indoor working environments. They can also serve to protect the HVAC equipment. Pollutants can originate from a source outside or inside the building. 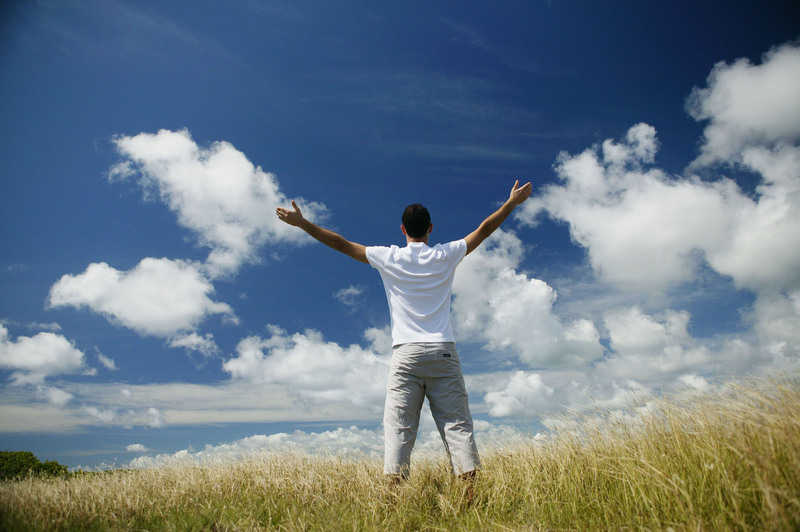 In this blog I will discuss pollutants which originate outside of the building. Feeling the heat? 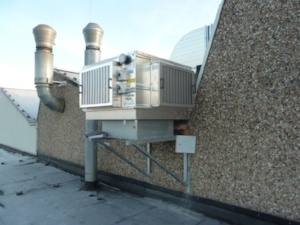 Upgrade your existing ventilation system! As a factory manager, you may find that in spite of keeping your mechanical ventilation system in perfect condition, the temperature in your plant is increasing. Over the years, the use of your building may have changed, as with the introduction of lean manufacturing practices, there may be a higher density of production machinery with consequent higher heat load in some areas of your facility. This means that the mechanical ventilation system as it was originally designed and installed no longer meets your requirements. 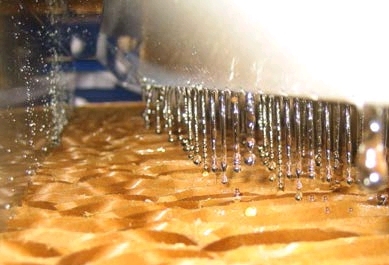 I received some excellent questions during my recent webinar on evaporative cooling. Here you can see my answers to these questions, slightly edited for clarity. There is also a recording of the webinar available. 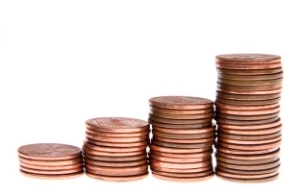 Are you missing out on the savings that come with evaporative cooling? 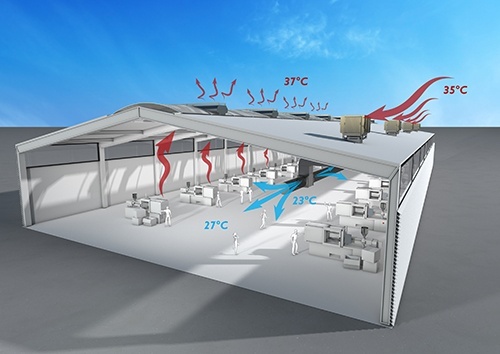 Evaporative cooling is an exceptionally efficient and economical means of cooling industrial buildings, production facilities, warehouses and data centres. It is not a new technology, infact it is widely used around the world. So why isn’t it more widespread in the UK? Common misconceptions about this excellent technology are stopping many facilities managers and factory owners from taking advantage of the considerable savings it can achieve for them. Let’s address these concerns and look at the main benefits of evaporative cooling. 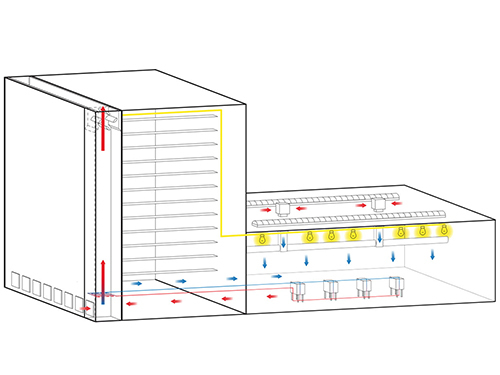 In this blog we don’t usually write about our products, but we have recently worked on a project that we think will provide interesting insights about preventing overheating in the common corridors of taller apartment buildings. 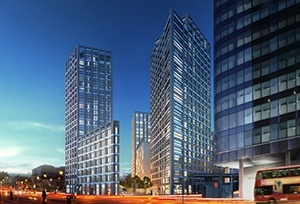 A cooling system that generates energy: Yes it's possible! Today’s blog article is a bit different from our usual contributions: we were recently involved in an unusual project with a client who thinks very much out of the box, which resulted in an ingenious solution that we thought could be interesting for you. When choosing a cooling solution for a factory, it is important not to focus only on the initial investment, but to consider all the elements that make up the total cost of ownership (TCO) of the system. 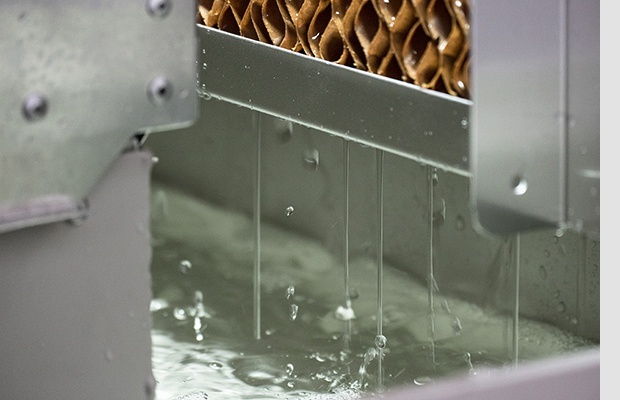 What’s stopping you using evaporative cooling? An American colleague recently described evaporative cooling as “swamp technology”, a quaint term which, according to Wikipedia, was coined as a reaction to the odour of algae in early units. This got us thinking about whether there were any other issues or myths that put people off the technology. In this country we’re blessed with a temperate climate so for many applications and for much of the year the cost and complexity of a full air conditioning system is not necessary and a simple, low cost evaporative cooling system may be a better solution. In previous articles we wrote about how you can solve overheating in residential buildings’ common areas by using the smoke control system to provide simple and effective cross flow ventilation and extract warm, stale air from these spaces. However, there are cases when this won’t be enough and the system will need some help to lower the temperatures to the desired level. Who doesn’t love the smell of freshly roasted coffee? But there can be too much of a good thing, and coffee roasting facilities have more to worry about than an excess of fragrance: they have to cope with the high levels of heat generated, which becomes even more of an issue during the summer months, as well as the build-up of carbon monoxide concentrations in the 72 hours following the roasting process. Efficient ventilation to extract the excess heat and carbon monoxide is essential.